Wind Concerns Ontario has discovered through research that the length of the distribution lines planned for the Nation Rise wind power project in North Stormont is in violation of both the Electricity Act and Ministry of Environment, Conservation and Parks policy. The length of the distribution lines as planned is 125 km; the allowed length is 50 km. Transmission or distribution lines of less than 50 kilometres in length that are associated with or ancillary to a renewable energy generation facility. Transformer stations or distribution stations that are associated with or ancillary to a renewable energy generation facility. Any transportation systems that are associated with or ancillary to the provision of access to a renewable energy generation facility, during the construction, installation, use, operation, changing or retiring of a renewable energy generation facility. O. Reg. 328/09, s. 1 (2). 4.3.1. Scope of Transmission or Distribution Lines Ancillary to the Project Subject to the qualifications discussed below, transmission or distribution lines ancillary to the renewable energy generation facilities are included as part of the facility and thus must be considered in an application for an REA. These facility components will contribute to the size and dimensions of the project location for the purposes of setbacks and will require assessment for negative environmental effects that will or are likely to occur from their installation, operation or decommissioning in the REA application. It would appear that according to the regulations and government policy, the Nation Rise wind power project should not have been granted a licence to generate electricity, and neither should it have received a Renewable Energy Approval. The Nation Rise project received its Renewable Energy Approval during the last days of the Wynne government prior to the 2018 election, an approval that was full of “conditions” for the developer to meet; then, while the new government was elected but not yet sworn in, the Independent Electricity System Operator or IESO determined Nation Rise had met all its “developmental milestones” and was given a Notice To Proceed. The project has gone through every appeal possible and is currently the subject of a direct appeal to the Minister of Environment, Conservation and Parks. Wind Concerns Ontario has written to the ministers of Energy and Environment to request clarification. This looks like you’ve got them. But, is there any provision for an exemption to be granted? 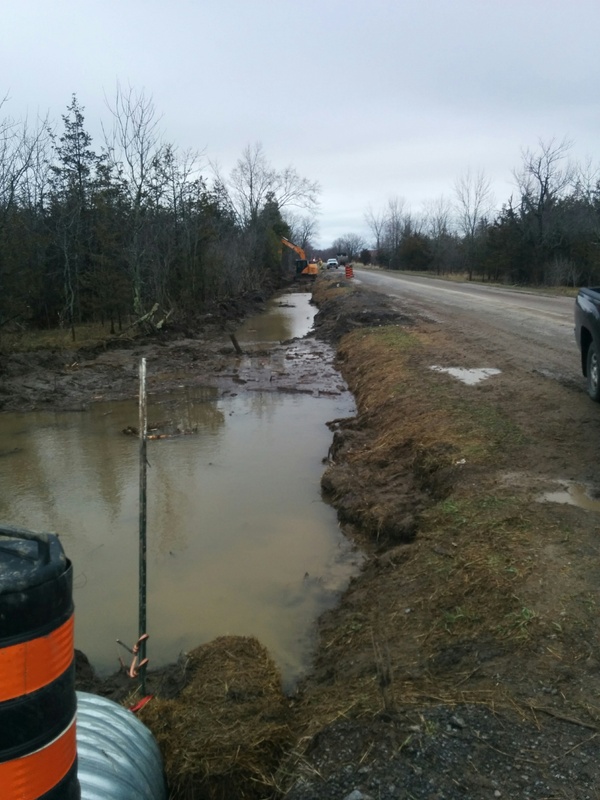 The Wynne and McGuinty governments granted approvals and licences to other projects where the distribution line limit was exceeded, but never condescended to supplying the public with a reason. In one project, the developer was allowed to say there were three sets of distribution lines but that too contravenes the regulations and the policy. When it comes to wind power in Ontario, it is the Wild West. This is exactly what the Power Workers and The Society of Engineers have tried to prove to everybody, anybody. At those lengths the distribution losses render the outputs useless but the hydro ratepayers can still be charged. It is simple math that the brainwashed politicians and green energy idiots refuse to acknowledge. Industrial Wind Turbines do not produce power, they produce profits. Most of the numbers that I have seen pertaining to IWT’S can easily be proven as skewed. Lobbyists are not paid to produce facts! Another fact is that noone knows how much energy is actually benefiting the Ontario grid and how much is diverted directly out of the province that all Ontario hydro ratepayers get charged for but never get to use. Don’t take my word for it,,,,,get a pencil and a piece of paper and divide 2,000,000 watts into 60,000 homes as shown on the CANWEA website. Yup, 33 watts, not enough to charge your cellphone and that is only when the wind blows at a usable speed. To be fair, it is true when they say that each turbine of *2MW can supply power to 60, 000 homes. To be factual, it should read, each *2MW turbine can supply a small amount of residual power to 60,000 homes when the wind blows at a certain speed considering the 60,000 homes are all within about 10 KM of the turbine base. I am all for renewable energy, but not like this! While on the subject of deception relating to Industrial Wind Turbines! Surges caused by IWT’S are not being properly associated with transformer failures. A well written article on the electrical business magazine website explains it in layman terms. Go to http://www.ebmag.com and read about the costly grid improvements needed to suppress the surges from IWT’S. These added costs are being passed on to the ratepayers not the IWT companies. Add these costs to the increases caused by the high priced IWT contracts and it is easy to understand why so many companies have left Ontario reducing the grid load by half and doubling hydro charges for those customers that are left. Don’t forget, the GREEN in green energy stands for money not renewable power. IWT’S have got to go before more costly damage is done regardless of who pays. Why don’t you ask CCSAGE-Naturally Green?